One of the highlights of Christmas for me these days is the John Lewis ad which always arrive in November and signals that the festive season is well and truly underway. It’s odd because I have never been to the UK and haven’t shopped in any of the department store’s locations and yet so intimately, movingly beautiful are these ads, that you can’t help but be touched by them and feel a connection that transcends the rather obvious fact that this short film is trying you (well, those in Britain anyway) to buy as many things as possible. Sure, you could argue that the ads are emotionally-manipulative in a way but honestly, it’s well near-impossible to feel that way, especially when this year’s ad, featuring Elton John, tells such a beautiful story. 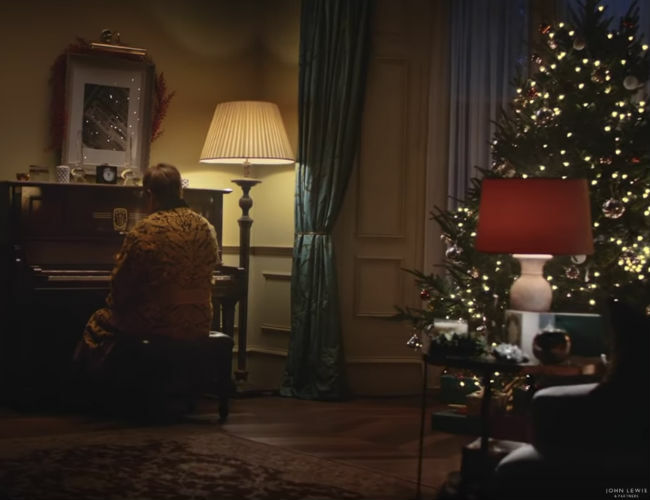 Taking us back through time tot he sounds of John’s iconic track “Your Song”, with actors filling in for Elton’s flamboyant younger selves, the ad evokes that sense we all have of Christmas being far more than the gifts we get. It reaffirms that beyond the actual material items, which can be meaningful in their own way, are everything they represent – time with family, your hopes and dreams, their support of your achievement of those hope and dreams and how, all too quickly what lay before you is now behind you, the stuff of warm-and-fuzzy, slightly-melancholic memories. As a family man himself, with partner David Furnish, Elton John found making this family-centric ad, which can’t help but move you to tears, commercial imperatives be damned, a remarkably-joyous experience. So Christmas is here everyone, and whether you shop at John Lewis, or anywhere else with ads that can only be inferior by comparison, remember just one very important thing – the gift you give will likely have a far more amplified meaning for the recipient than you can ever know so choose wisely and well.